After publishing this plug-in I found out that this functionality is native in Apex. Read more details here. It are still a lot of numbers with little structure. Especially the repetition of the month and year adds a lot of characters, but adds little meaning. I was so enthousiastic about the effect of the subheaders that I have created a plug-in to generate subheaders in a Classic report. The default formatting of the subheaders can be changed by defining the class td.t-Report-cell.subheader.Note that the background-color has to be defined with !important. So I set out to create the plug-in. After finishing it I wrote a blogpost and added it to the plug-in repository on apex.world. And I proudly tweeted about it. Pretty soon I got a reply from Peter Raganitz: “Wouldn’t a control break do just that?”. I set out to check this and.. he is absolutely right. This functionality is available in Apex in a declarative way! 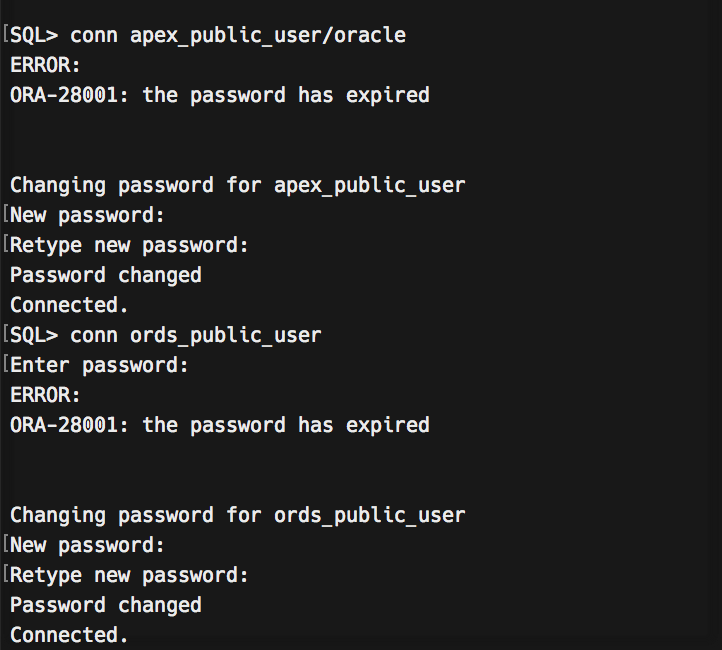 Have you encountered this error before in working with Apex? I do regularly wen editing reports. At first I have created a nice report. 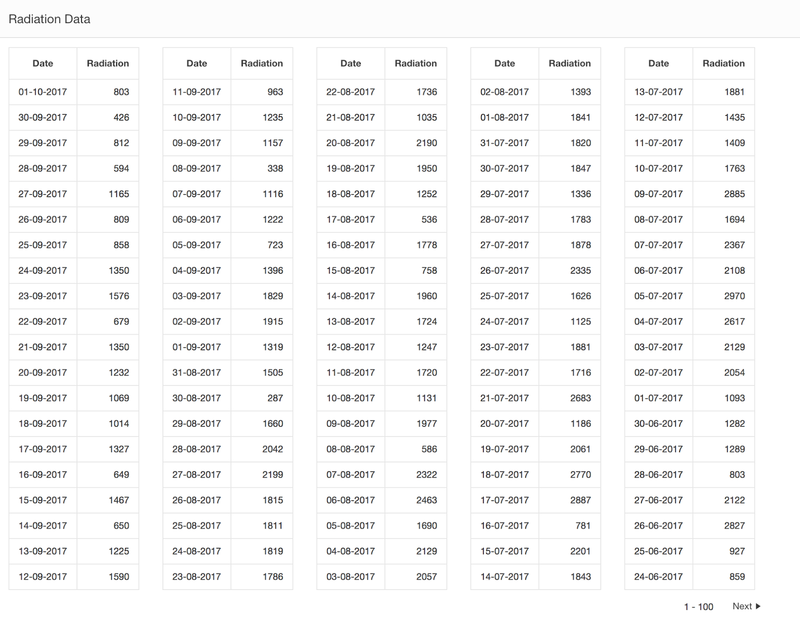 After getting the query right I make some columns invisible, change the header texts and do some formatting. Then I run the report and it looks nice. No errors on the SQL. What happend? It took me some time to figure it out. In my case there was an order by in the report query. This means that none of the report columns may be sortable. And Apex gets confused when a report query has an order by and an item is also sortable. So the query Apex creates has an incorrect syntax, hence the error message. Setting the sortable attribute of the item to No immediately solves the problem. The report executes again without any error message. When speaking to users they often ask me whether the editing of data can be like Excel. Using tabular forms is a long way from using Excel. It is hard to operate the tabular form just with the keyboard and copying of values needs to be done in a number of keystrokes. After creating this function I realized it also can be used to move up and down in the tabular form using the arrow keys. And I decided to create a Plug-In around it. The Plug-In can be called from a Page Load dynamic action. No settings are needed. 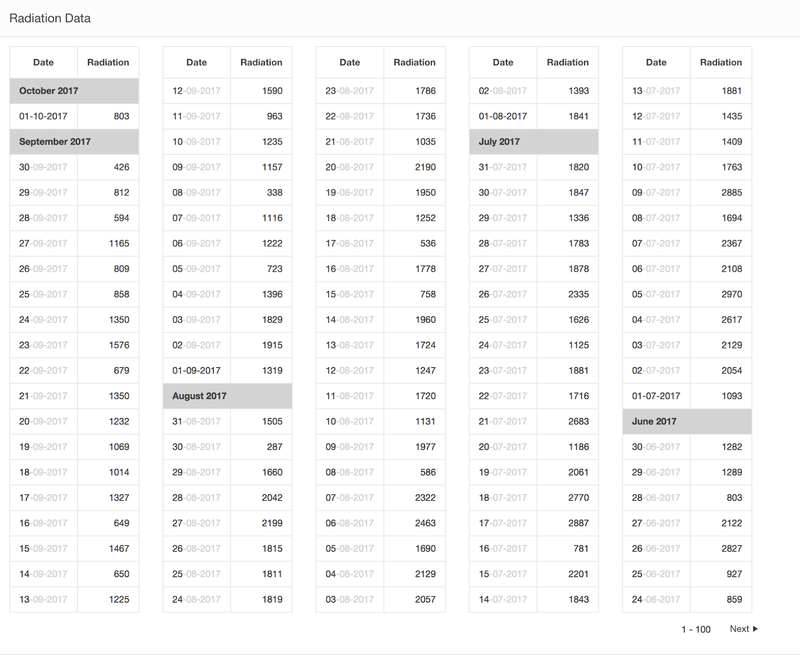 The actions will execute on any text, date, and select item in a tabular form. Checkboxes are not yet supported. I could have included the [Right] and [Left] arrow keys but then the editing of the cell content would be affected. These keys cannot be used anymore to navigate within the content. So the keys [Tab] and [Shift][Tab] can be used to go to the next and previous item in the row. I think many of you can make your users even happier with their Apex application when implementing this Plug-In in your application. As always this plugin can be downloaded from apex.world. At the beginning of 2017 I published a plugin to copy the content of Apex items to the clipboard. I use it on a regular basis in my applications but always for visible elements. Yesterday I got a comment that the plugin does not handle hidden Apex items correctly. So I set out to create a new version of the plug-in. In the new version of the plug-in the hidden Apex items are handled correctly and also added support for JQuery selectors. In this example the hidden item is called P800_HIDDEN_1. The Introduction region has got a static ID INTRO and if you open the inspector you will see that the introduction text is contained in a div element with class t-Region-body. So if you click on the button the text will be copied to the clipboard. Some months ago I published an Oracle Apex plugin to restrict the left side shuttle choices. You can read the original post here. On the demo page the On Change event was used to refresh the left side list. My friend Alex Nuijten made the remark this was not very intuitive. The user needs to navigate out of the selection item to see the change. So I changed the demo page to provide instant feedback. The selection is now refreshed after each keystroke. As this process is completely executed on the client the response is very fast. Only for very long list the user might notice a slight delay. My first idea was to prepare the URL for every possible mail while being in an Apex session and store it in the database. The stored URL can be used when generating the email. This would be technically  complex, because a new column would have to be created and the content of this column would have to be kept up to date all the time. Another possibility would be to create a fake Apex session within the batch process. Then the rest of the code need not be changed. Martin Giffy d’Souza provides a way to create an Apex session in this blogpost. Although this is an 5 year old post I was able to create an Apex session and generate a valid link. The last solution was chosen because of the simplicity and the absence of need for code change. Some Apex applications sends notifications emails to users when tasks are due. These emails contain a link to an Apex page. When the user clicks on the link he is taken to the page. When this page is not public – which usually is the case – he is directed to the login page of the application. Even when he is logged in for the same browser on another tab. When users get a lot of these emails it is annoying they have to log in each time. 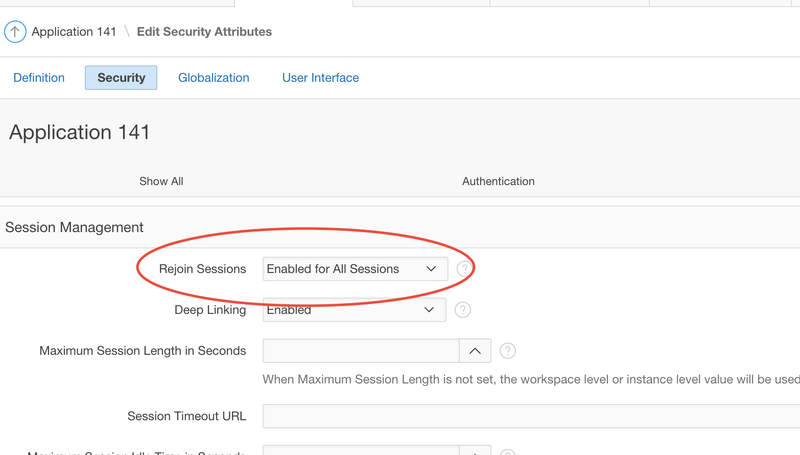 Apex provides a way to avoid the login when a session exists in the same browser. 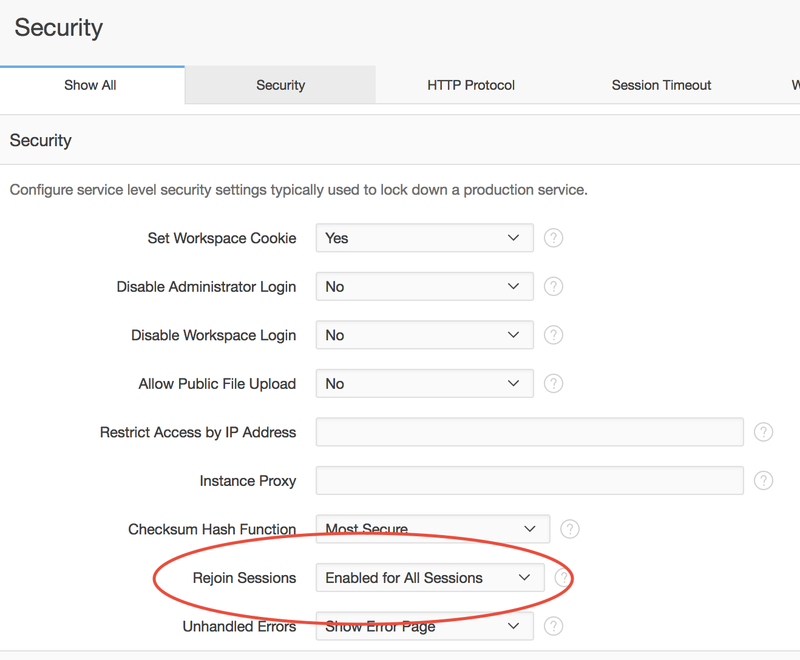 This post describes how you can set it up using the Rejoin Sessions functionality. Today I figured out to my shame that the mentioned error by ORDS 3 has a really, REALLY simple cause… the password was expired. The second one of course did the trick.